We mainly provide coverage for geographical areas to and from the BS (Bristol) and some BA (Bath) postcodes. Our quotation and booking system may provide quotation from other postcodes across country. Kindly email or call before booking any such journey as we may cover these journeys depending upon availability of our fleet but reserve the right for cancelling such journeys surpassing the minimum time before journey condition listed below. We will refund the full amount in these circumstances if the payment has been made. You will receive an acknowledgement email for the journey you have booked with us within 24 hours of booking the travel. If there is lesser time between the travel and booking, kindly email or call us for confirming your journey details. You are responsible for checking that the details received by us are correct. Near to the journey time the driver will attempt to contact you on the contact telephone number provided, kindly ensure that the correct contact telephone number is provided. Merclux does not accept any responsibility in any way for missed flights, connecting journeys for whatever reason i.e. forced majeure, traffic delays, accidents, breakdowns, severe weather conditions or any unforeseen circumstances. We advise the passengers to allow reasonable extra time before their actual journey to allow for any unforeseen occurrence for the taxi booked. Merclux will not take any responsibility of missed flights, ongoing journeys for any unforeseen problem with the service. You are booking with us bearing in mind your travel lead time and check in time before the flight. Merclux accepts no responsibility of going beyond legal means to drive you to the destination i.e. drivers should not be asked or compelled to drive beyond the legal speed limits. Merclux will not accept any responsibility to refund any passenger who will not wait for the driver prior to their journey. Merclux operators will attempt to speak to the driver en-route and advise the passengers an ETA if contacted however these ETAs are on best endeavor basis only and neither the driver, Merclux nor operator provide any guarantee to provide travel at the specific time. We request our customers to provide flight numbers, dates of arrivals and expected time of arrivals in the UK not foreign times and dates. Travel insurance is advised prior to booking and Merclux shall not accept any liability or responsibility if the customer has not arranged their insurance. Merclux does not accept any responsibility in any way if the passenger/luggage requirements exceed the capacity of the vehicle booked. If you are unsure about the capacity of the vehicle booked please contact Merclux customer services team immediately. Merclux drivers are under no obligation be forced to place the luggage on the seats or in any unsafe manner that they deem unfit for travel. Doing so in extreme circumstances with the agreement of the driver may incur estate or higher vehicle class charges that drivers will need to collect from the customer. Merclux on certain journeys may get support from our partners operating around our geographical area. We do this to provide best coverage and in greater interest of our passengers, Merclux only in very rare circumstances will use registered companies and would use for like to like vehicle class as the journey booked. Reservations made for service on the following timings and dates will be subject to an additional 25% surcharge on published prices: 18:00 24th December to 23:59 26th December, 12:00 31st December to 18:00 2nd January, other days may also be affected and would be notified before the booking is confirmed and the payment is made. Merclux may provide a larger or a better version of the car than originally booked dependent upon the availability. If we are offering a lower variant then we will let you know through phone or email. In case there is no reply for non acceptance from email or phone then it is assumed that the alternative is acceptable and no refund will be possible. Prices may be calculated manually with the distance, time of travel and amount of passengers travelling taken into account. They are not subject to change once the payment is received, a mere quotation is not a guarantee to receive the same price. We do not charge for the 1st 40 minutes of waiting time after the plane has landed. Waiting time charges start once the 1st 40 minutes has elapsed from when the aircraft has landed and will be charged, regardless of reason, at £20/hr pro Rata’ Waiting time for all other journeys will be added at £20/hr pro rata from the scheduled pick up time. No bridge Tolls are included in the instant online quotes. The driver will ask you for the money. Any amendment must be made via an email or by telephone to us to which you will receive an email confirming the amendment. Amendments must not be made with your driver. All amendments will be charged an admin fee of £5.00 per amendment, if however an amendment is to be made within the travel time to booking it is decided upon the discretion of operator and any delay, postponement or cancellation would be sole responsibility of the customer. 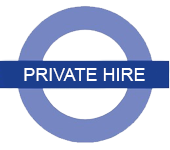 We strictly advise our drivers to make bookings via our office, telephone and email. Kindly note that any bookings not made through us as an operator are illegal and are not covered under insurance. Merclux will accept any cancellation made as long as there is at least 24 hours notice however there will be a £7 or 10% (whichever is higher) administration / transaction charge. The cancellation must be made via an email to which you will receive confirmation by us. For this purpose the time of receipt of the email is the time of cancellation. Also note that only emails from the email address entered while making the booking is acceptable for receipt of cancellation confirmation. We confirm via email the cancellation, if you have not received an email then we have not received your request. Only in that case you can call our contact telephone number provided on our websites. No refund is made for cancellation of a booking with less than 24 hours’ notice provided or afterwards. All other circumstances where a refund may be possible should be addressed directly with our customer services as per the process explained above. There would not be any refund processed if there is no written notification or email sent to us apart from our sole discretion. Kindly note that in busy times there is a significant pressure on our resources i.e. vehicles and drivers and we would not do any refunds where there was no correspondence received by us at least 4 hours prior to journey. All complaints are to be referred via an email to our manager@merclux.co.uk. We will investigate the matter within 5 working days and issue a response via an email to the address provided. If that is not due to your satisfaction then you can revert back the complaint providing a further argument through email replying to which we will issue our final response within 3 working days.